Chris & Julie Mesanko started this awesome journey in their hometown of Seaside Heights 40 years ago. 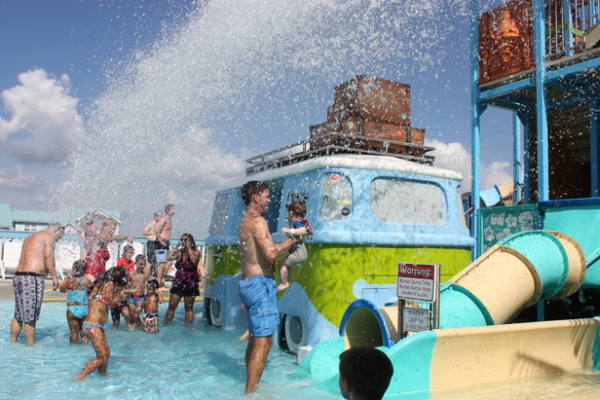 Coming to LBI in 1977, they would have never thought a concrete waterpark would grow into something so great! The Mesanko's, who have been together for 50 years, run Thundering Surf Waterpark and Adventure Golf with both the daughter and son, Brooke (36) & Devin (34). They are all worked side by since their children were 14 years old. As Chris states, "They were born into it. They were playing on the waterslides as babies. It's a natural kind of thing, We sell fun! It's pretty hard not to like the fun!" The Mesanko's strive to provide your family with not only fun...but a clean and safe envirnonment, walking away with memories that will last a lifetime! General Admission: All guests entering the park must pay an admission fee. All guests must wear the appropriate wristband at all times. As payment, we accept cash, travelers’ checks, and major credit cards (Visa, MC, Discover). No personal checks are accepted. Physical Requirements: The activities in our park are participatory, some being physically demanding. It is your responsibility to know all instructions and your own limitations, physical capabilities, and swimming skills prior to participating. If you are of a “non-athletic” nature or are “overweight” for your body type, you are encouraged to use caution when choosing activities to participate in. Personal Articles: Glass containers, alcoholic beverages, coolers, tubes, boogie boards are not permitted in the park at any time. 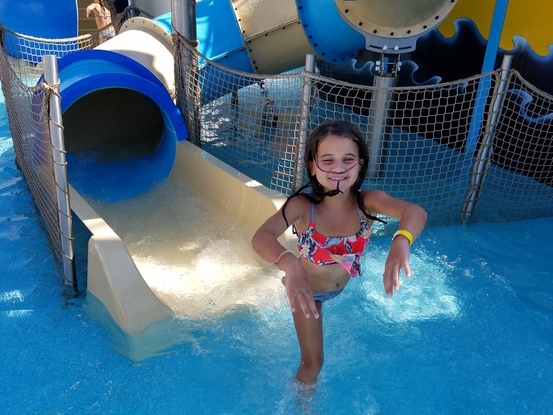 Water shoes cannot be worn on waterslides. c.A person with a disability who has a service or guide dog in his possession shall be liable for any damages done to the premises of a public facility by such dog.